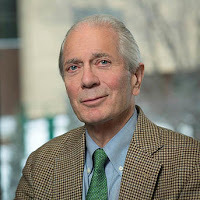 Global Notes: HHH Prof. Kudrle on USMCA: "I think it's a sigh of relief for Minnesota"
HHH Prof. Kudrle on USMCA: "I think it's a sigh of relief for Minnesota"
New trade deal 'short on real impact' for Northland By Brooks Johnson on Oct 1, 2018 at 6:30 p.m.
"I think it's a sigh of relief for Minnesota — we're a very competitive state. We're a state that doesn't have anything to fear from international trade," said Robert Kudrle, a professor and trade expert at the University of Minnesota Twin Cities. "If NAFTA had fallen apart, these are two huge trading partners. It would have really been disruptive." Kudrle noted that while the new deal makes some changes, especially to the auto and dairy industries, it largely keeps the old framework in place. "It's a situation where the president can declare a victory, but if NAFTA was as bad as he said it was, it hasn't changed much," Kudrle said.